Our pure and delicious water is the perfect thirst quencher every day. 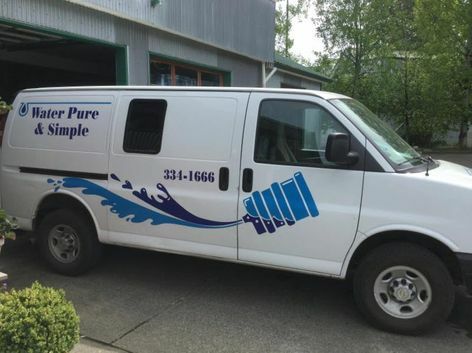 Locally-owned and operated, Water Pure & Simple is “the North Island’s Water Company,” providing premium bottled water that has been purified and bottled locally to ensure it’s purely and simply the best! When you need delicious bottled water in the Comox Valley or North Island, we’re the ones to call! All of our bottled water has been sourced, purified, tested and delivered locally. We have free same-day delivery service to homes or businesses available. Other water companies don’t offer same-day delivery, nor are their services done locally by the people you know and trust to provide you with reliable service and products. We have our own purification plant. If you need a water cooler for your home or office, we will install and maintain it. Our popular Water Club offers water dispensers and water in one convenient pricing. These are all inclusive in one great low price and are available for both commercial and residential settings. Larger quantities of bottles and water cooler rentals are also available. We also provide sponsorship for several local events. Our purified water is perfect for enhancing your health and fitness goals. Our water services will keep you hydrated no matter your needs. We work hard to provide our customers and community with superior service. There are many uses for purified water aside from drinking it. It can be used in baby formulas, low-sodium diets, complexion care, baby’s sponge baths, house plants, pet care, beer and winemaking, canning and preserves, homemade popsicles, steam irons, humidifiers and photography – anywhere you want. Our water comes with only the best, unadulterated quality without the unsavoury additives sometimes found in regular drinking water. Call one of our friendly and knowledgeable sales representatives today at 250-334-1666 and ask them about our great monthly and seasonal specials or our free trial offer! 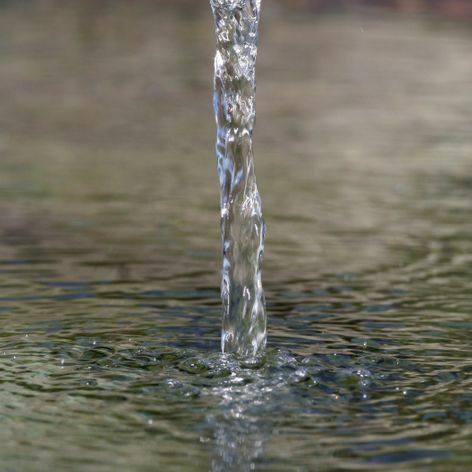 Unlike many other companies, we purify our water products ourselves! SOURCE WATER Our multi-staged process is coupled into the municipal water system. SEDIMENT PRE-FILTER This pre-filter removes additional particles from the water, down to the 1 micron size. REVERSE OSMOSIS At the heart of our system, these membranes remove all remaining impurities. ORGANIZATION This equipment produces and injects ozone into our product water as the final assurance that it is free of any harmful microbes. We are dedicated to delivering the highest quality water to you at the most convenient time for you. Our home delivery service is done on a bi-weekly basis. Our goal is to deliver enough water to last you two weeks. If you call us before noon on Monday through Friday we can offer same day delivery.